Collcutt, Martin. 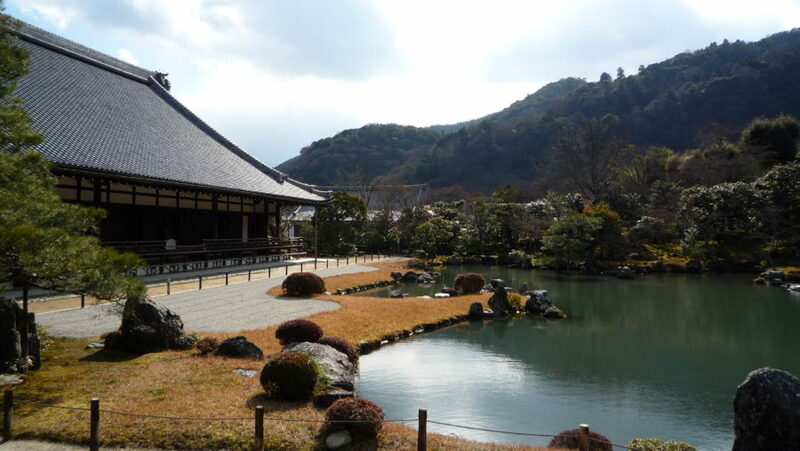 Five Mountains: The Rinzai Zen Monastic Institution in Medieval Japan. Adolphson, Michael S. The Teeth and Claws of the Buddha: Monastic Warriors and Sohei in Japan. 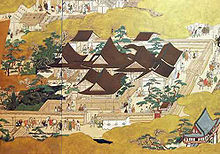 Parker, Joseph D. Zen Buddhist Landscape Arts of Early Muromachi Japan. Lu, David J. Japan: A Documentary History, vol. 1. A Noh performance. 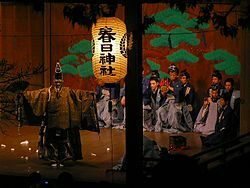 Note the mask, the musical performers behind the actor, and the fan in the actor’s hand — all hallmarks of Noh. 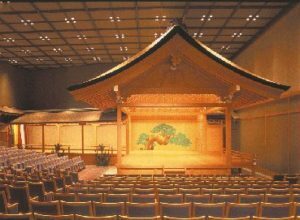 A Noh stage; this should help you get a sense of the unusual layout of Noh performances. 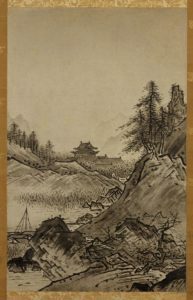 Autumn landscape by Sesshu Toyo, c. 15th century. 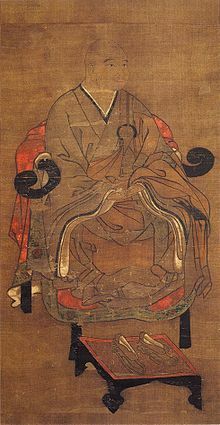 Images of warrior monks were popularized during the Edo period, with depictions of historical figures like Musashibo Benkei (shown here with his friend Minamoto no Yoshitsune) becoming extremely common. In practice, few monks were actual warriors — instead, monastic armies consisted mostly of lay people hired to defend monasteries. 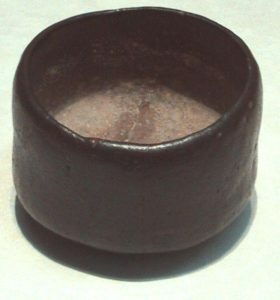 A mon (a type of coin) from the Muromachi period. 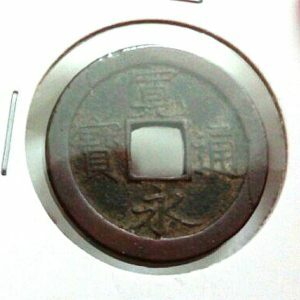 The expansion of coinage helped grow the economy of the Muromachi era substantially. Plum Tree Screen door by Kano Sanraku, c. 18th c. The Kano school emerged in the Muromachi period, and dominated the painting scene in Japan for the next several centuries. Conlan, Thomas. 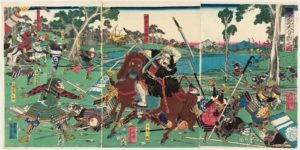 The Culture of Force and Farce: Fourteenth Century Japanese Warfare. Grossberg, Kenneth. 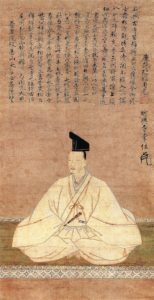 Japan’s Renaissance: The Politics of the Muromachi Bakufu. Mass, Jeffrey. 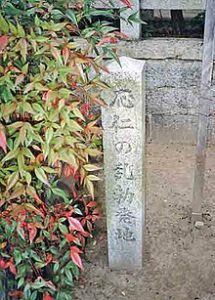 The Bakufu in Japanese History. Nasu no Yoichi from the Heike Monogatari. 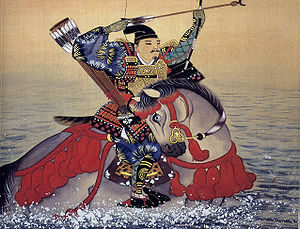 Attempts to live up to feats of heroes like Yoichi were the driving force behind Muromachi period battles. 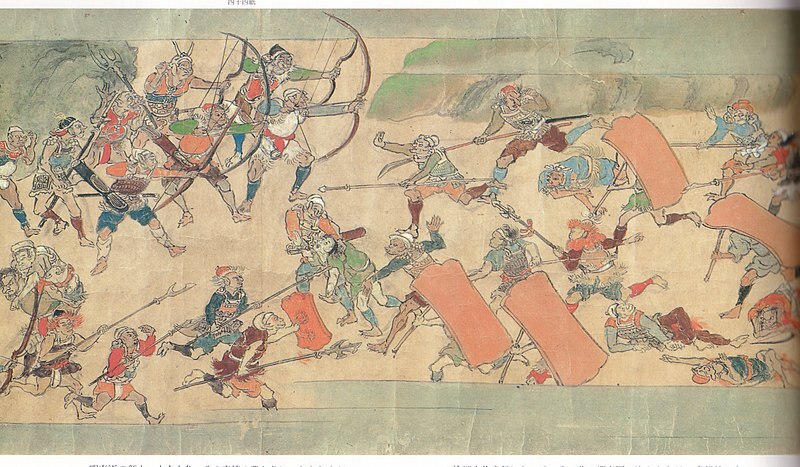 A scene from the Taiheiki; note that each warrior is individually labeled. 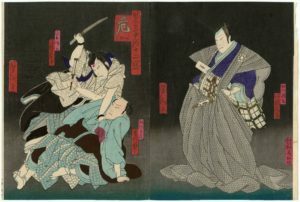 This print is from the Edo era, but the Taiheiki text it is lifted from mimics the Heike Monogatari in prizing individual accomplishment as the hallmark of the samurai. Kinkakuji, the “retirement home” of Ashikaga Yoshimitsu. 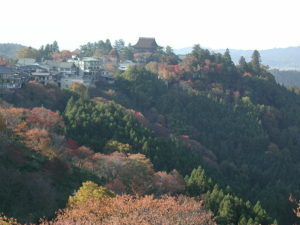 Built as a Buddhist temple in the style popular on the Chinese mainland. 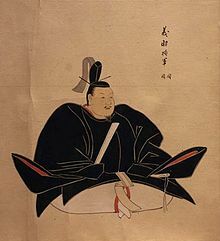 Ashikaga Yoshinori; chosen by lot to be shogun, he was probably the last person of real competence to hold the post. Sansom, George B. 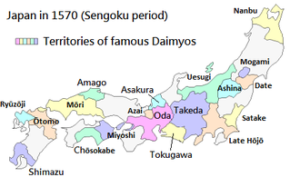 A History of Japan, 1333-1615. 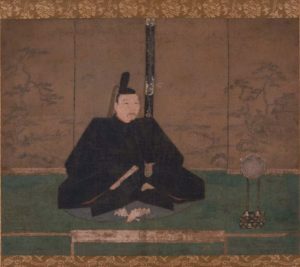 Ashikaga Takauji dressed in the style of his class for battle. This map gives you an idea of the relative proximity of the two courts. 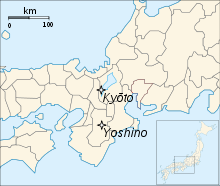 Despite this, Yoshino’s mountainous location made it hard for the Ashikaga to take militarily. 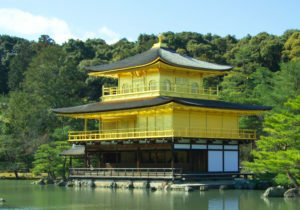 The Yoshino palace. Even this photo gives you an idea of the difficulty of the terrain. 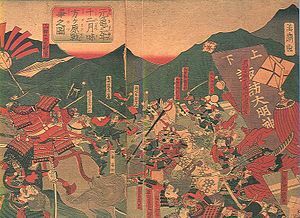 Kusunoki Masatsura (son of Masashige) defeating the armies of Ashikaga Takauji. 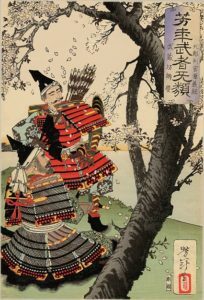 Woodcut from the Edo period by Kuniyoshi. 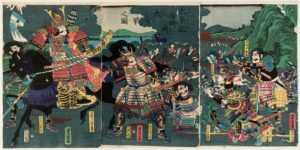 The death of Kusunoki Masatsura at the Battle of Shijo Nawate. 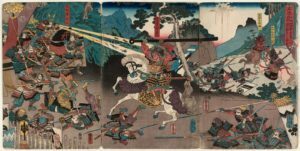 After decades of war, fewer and fewer samurai were willing to keep fighting for the south, and eventually Masatsura’s own brother would become a leading advocate for peace. 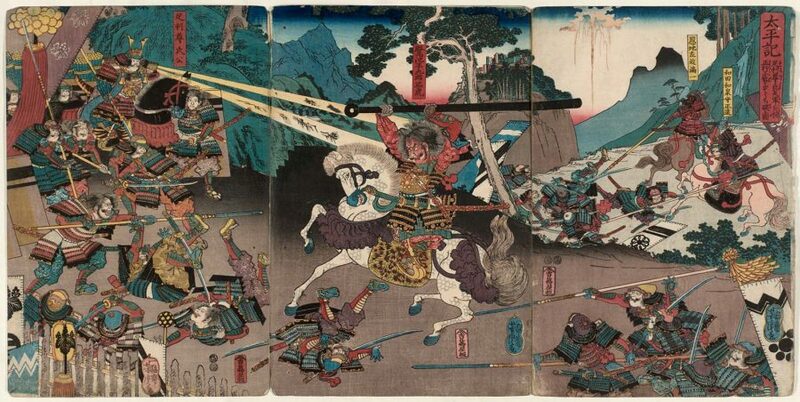 Ashikaga Yoshimitsu, the third Ashikaga shogun and the one to end the war. Note the shaved head and Buddhist prayer beads; we’ll have more to say about his religion later. 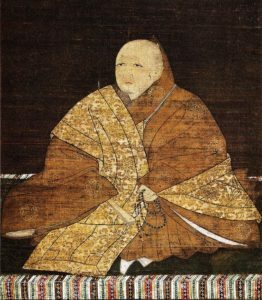 Go Kameyama, the final emperor of the Southern Court. 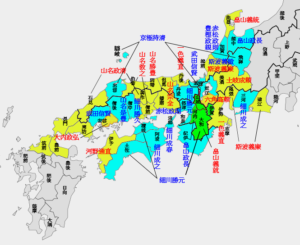 Today, the Imperial Household Agency and the Japanese government recognize the southern line as legitimate even though the current emperors are descendants of the northern branch. This week, we’ll be doing our second shogunal biography. We’re going to discuss the life and legacy of the man who destroyed the Hojo family, established the Ashikaga bakufu, and who was until very recently reviled as the worst traitor in Japanese history: Ashikaga Takauji. Sansom, George. 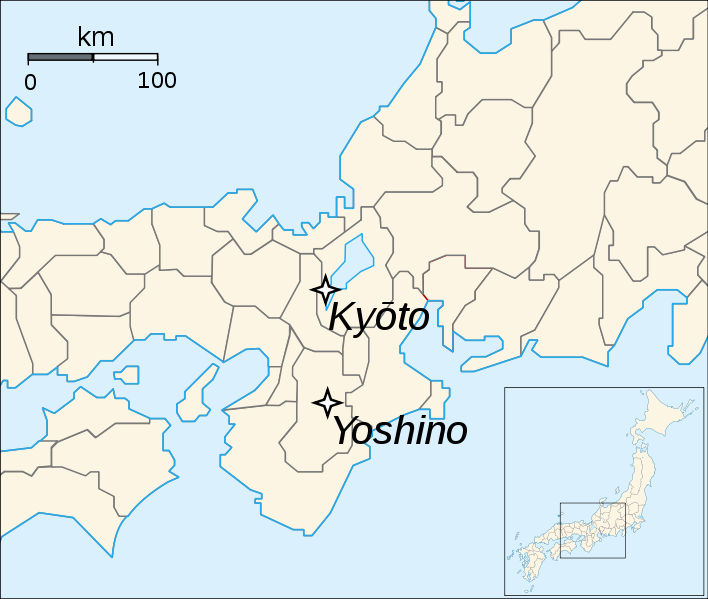 A History of Japan, Volume 2: 1334-1615. Totman, Conrad. 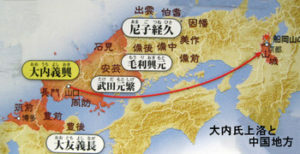 A History of Japan. 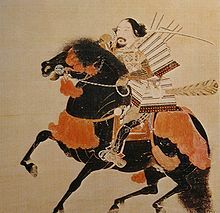 Ashikaga Takauji in full battle gear. 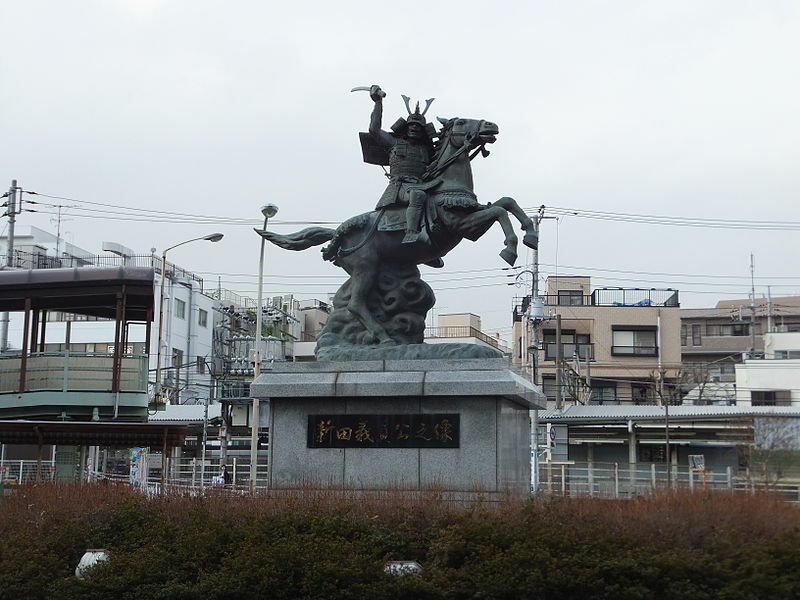 The statue of Nitta Yoshisada erected by the Meiji government. Kusunoki Masahige, Go-Daigo’s loyal servant to the end. 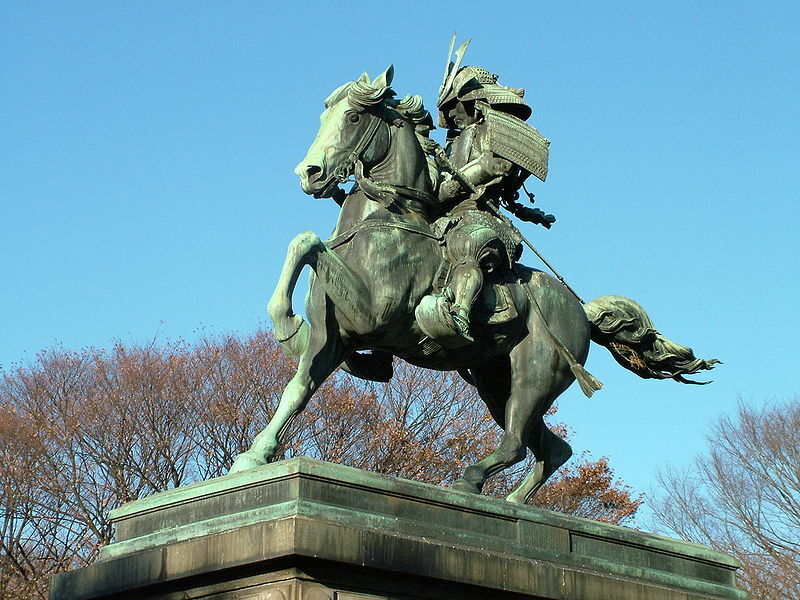 His valorous death earned him a statue in the Imperial Palace, but Ashikaga Takauji earned nothing but scorn in the Meiji Period. 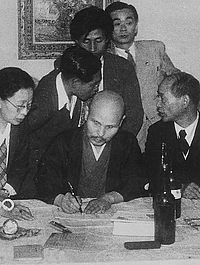 Kumazawa Hiromichi (center) claimed to be the true emperor of Japan after World War II owing to his line of descent from the Southern Court (the current Imperial line comes from the Northern Court). 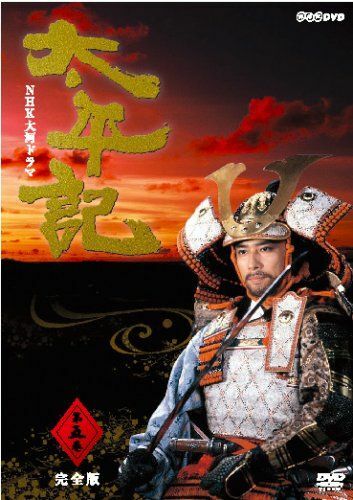 The box art for NHK’s 1991 Taiheiki, featuring Ashikaga Takauji on the front cover. The drama portrays Takauji in a more sympathetic light. Courtesy of the Nippon Hosokai. 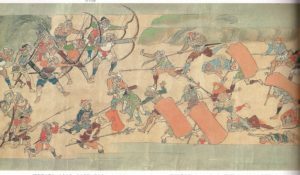 This week’s episode is on the structure of the Kamakura bakufu, its war against the Mongol Yuan dynasty of China, and its eventual destruction and replacement. 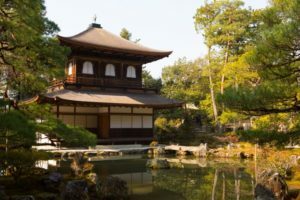 We’re also going to discuss some cultural innovations of the period, in the form of new Buddhist sects (Zen and Pure Land Buddhism) and the creation of Noh theater. It’s a bit eclectic, but I think the topics are interesting, and I hope you all agree! Totman, A History of Japan. This is Hojo Tokimune, the shikken who defied Kublai Khan’s demand for submission and eventually defeated him. 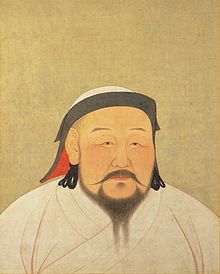 This is a portrait of Kublai Khan dating from his lifetime. 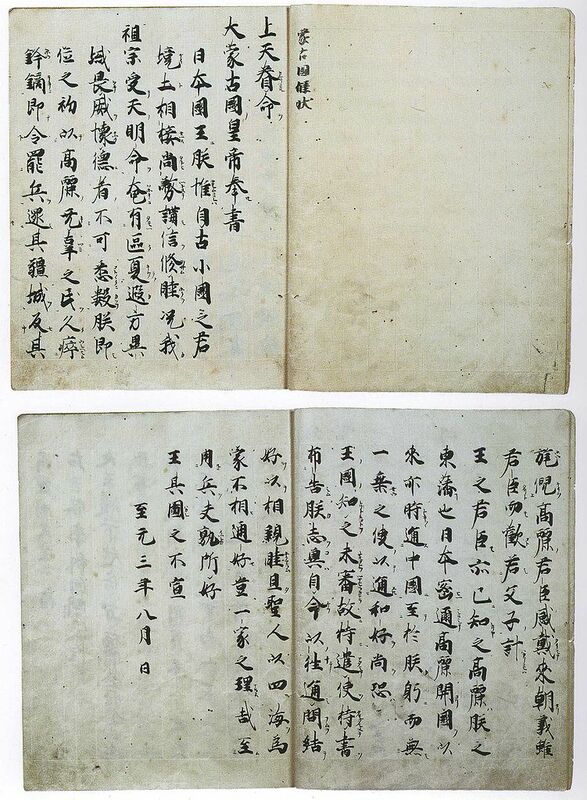 This is the original 1266 letter from Kublai Khan to Hojo Tokimune, whom he addresses as “the King of Japan.” He demands Tokimune’s submission in the letter, a demand which Tokimune ignored. 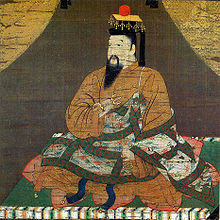 This image dates from the second Mongol invasion. On the left are a group of Mongol warriors; on the right is a charging samurai identified as Suenaga. 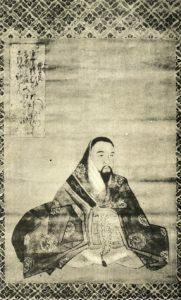 This is a period image of Go-Daigo, the Emperor who led the overthrow of the Kamakura bakufu. Three years later he would be defeated by his own lieutenant, Ashikaga Takauji. 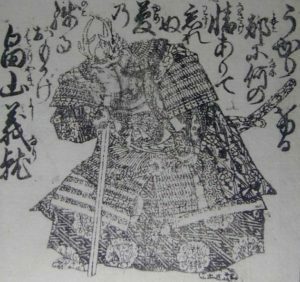 This is Ashikaga Takauji, the Hojo retainer turned Imperial supporter turned shogun, who betrayed his way to the top of the heap in the 1330s. This is an image of a Noh actor; behind him is a group of stage musicians. This shot show the 8-man chorus on the right side of the stage. 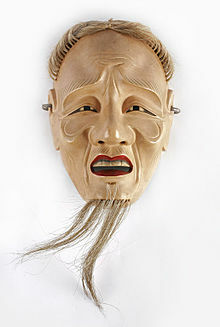 This is a “kojo,” or old man mask, used in Noh performances.